Please note: There's a good chance that this post contains affiliate links from which we earn a commission. As always, thanks so much for supporting Back Road Ramblers. Are you looking for more ways to get outside this year? As of 2014, there were 10,234 state parks in the United States, and the number grows larger each year. America’s state parks provide adventurers with countless opportunities to explore the natural world, whether you’re looking for an easy day hike or a weekend camping adventure. We asked some of our favorite travel and outdoor bloggers to share their all-time favorite state parks, and this is what they came up with. So next time, you’re itching for adventure, check out some of these natural areas – the best state parks in the USA. Dead Horse Point State Park is, in my opinion, the most criminally underrated State Park in all of the United States. The lookout point over the canyon, red rock carved by years of the Colorado River snaking through it, is absolutely stunning. In fact, to be a bit controversial — I actually found the views at Dead Horse Point State Park to be even more impressive than the Grand Canyon or Horseshoe Bend, two other stops on my Southwest road trip. I recommend visiting Dead Horse Point State Park at pretty much any time of the year, although be aware that because of its elevation at 5900 feet, it may be snowy at certain points of the year. I went in May and found the weather to be perfect.The park is quite small, with just a few hiking trails, but the view points are absolutely epic and perfect for either sunrise or sunset (when I went —I’m no early riser). You can also camp there overnight so that you won’t miss the sunrise, which is supposed to be stunning. When visiting Dead Horse Point State Park, don’t miss the chance to visit nearby Canyonlands National Park, which is often overlooked in favor of the other nearby national park, Arches. 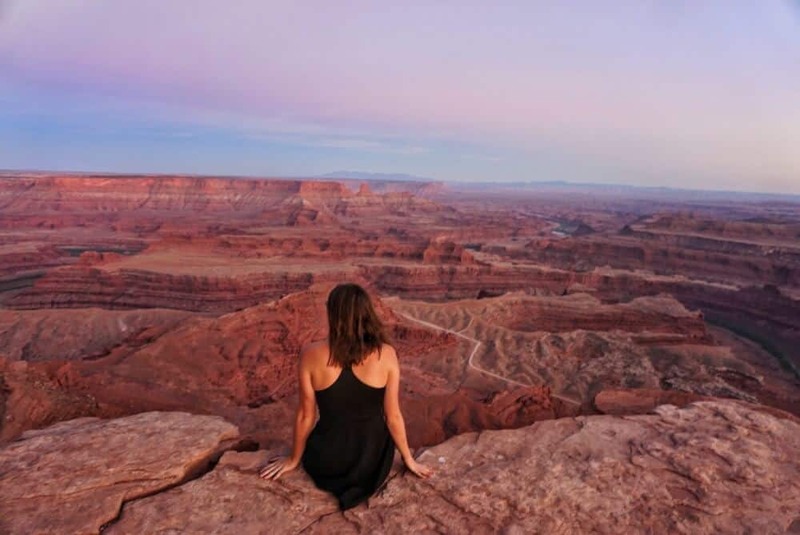 Read more about Dead Horse Point State Park in this epic Southwest road trip itinerary on Eternal Arrival. 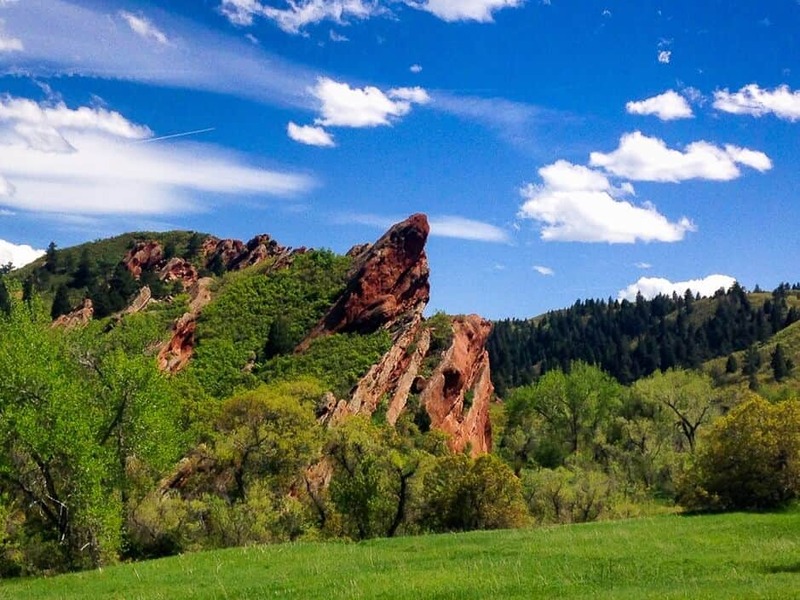 The red rocks and cliffs at Roxborough State offer stunning vistas for the hiking enthusiast. Unlike many of Colorado’s state parks, the only activity allowed here is hiking. No bikes, no dogs, no motorized vehicles and no camping. It’s purely hiker’s paradise. No need to worry about rutted-out trails or loose dogs. Head up the Lyons Overlook Trail for pristine views of the park. Or, discover the valley floor on the Fountain Valley Trail. Roxborough has trails for the beginner and intermediate hiker. Located just southwest of downtown Denver, it’s quick to access and a fantastic option for a day-excursion from the city. Visit during the late-spring months for the best chance at dry trails and pops of color from blooming grasses and wildflowers. For everything you need to know about hiking, check out Fox in the Forest’s Ultimate Guide to Hiking. Pfeiffer Big Sur State Park, located along the coastline of Central California, is one of the most beautiful state parks in all of California. Accessed by one of the most scenic and dramatic coastal highways in the United States, there are all kinds of fun places throughout Big Sur to explore. 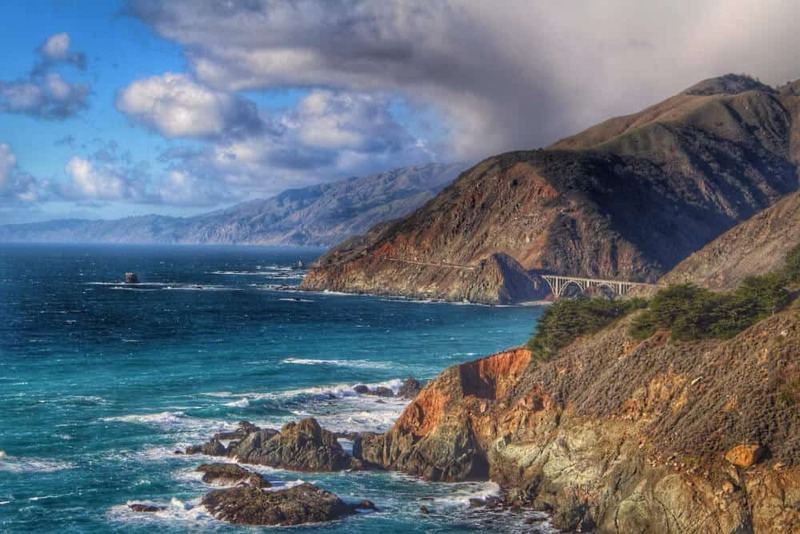 You can stick close to the Highway One (also known as “The One” to Californians) and see some of its iconic waterfalls, explore its beaches along the rugged California coastline, or venture deep into its redwood forests along one of Big Sur’s established trails. The best part about this park is that it can be visited virtually year-round. Due to California’s sunny yearlong weather, you can find yourself escaping here any month. Enjoy camping, hiking, sunsets on the beach, picnics, and swimming in this jaw-dropping California State Park. A must stop spot along route of Highway One, it has it all. 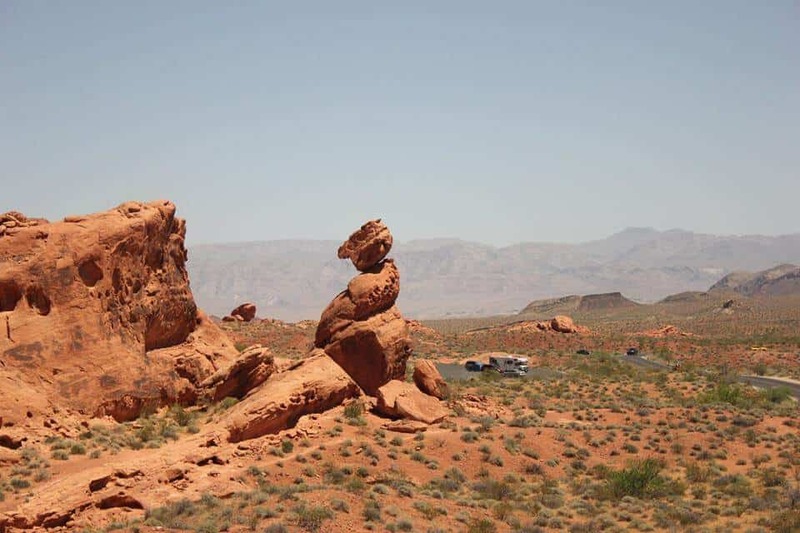 My favorite State Park in the USA has to be the Valley of Fire State Park which is an easy day trip from Las Vegas. My friend and I did a fun pink-jeep day tour and were totally mesmerized by the deep red rock and dramatic landscapes both en route to the park and inside. This park is great for short day hikes, although I have heard of people camping here also and getting incredible star photos late at night. Most of the main rock attractions, such as the wave and elephant rock, are short hikes from the road which makes this park a very accessible one for people who might not be able to walk long distances. As the name suggests, it gets VERY hot here so I suggest to stock up on lots of water even if you’re just doing a day trip. We actually visited this park twice – once by jeep and once on a sunset helicopter trip from Vegas which was a trip to remember. You can read more about the Pink Jeep Tour and Valley of Fire State Park on Journalist on the Run. Chugach State Park is my favorite park in Alaska because it has tons of amazing activities and is easily accessible from Anchorage. With multiple trailheads ranging from 20 minutes to over an hour from town, you’ll have plenty to pick from. The hiking trails turn into ski or snowshoe trails in the winter and you can easily grab a kayak, or some fishing or hunting gear throughout the rest of the year. 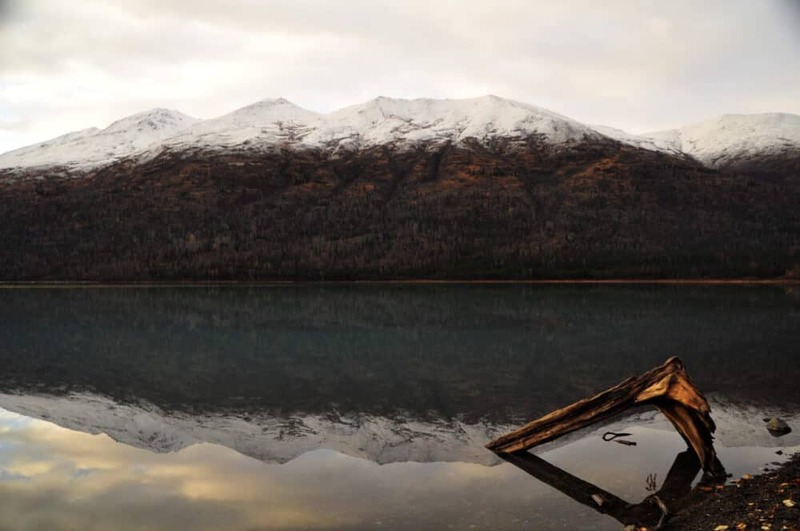 My favorite spot in Chugach State Park is Eklutna Lake where you can rent public cabins or bring your own tents for some overnight fun and a chance to see the northern lights! Get up early and check out the perfect reflection on the lake. Another thing I love about Chugach State Park is that it really is a 4-season park with fall colors painting a gorgeous yellow landscape and the long summer days full of wildlife and greenery. Alternatively you can head to the Glen Alps Trailhead or just google Chugach State Park for other hot spots in this natural playground. When you think of Utah Parks, you are likely thinking of Zion National Park or Moab….maybe Bryce Canyon. Have you ever heard of Kodachrome Basin State Park? It is a close cousin of Bryce Canyon (right next to it actually). It costs around $15 to get in, and you can also bring your dogs. With towering monoliths (more than 70 of them) ranging from 3 feet to 170 feet in height, it is sure to tickle any outdoor enthusiasts wanderlusting fancy. This is the only park with single stone spires in the world laid out in such a fashion. So come and discover Utah and all the off the beaten path places! 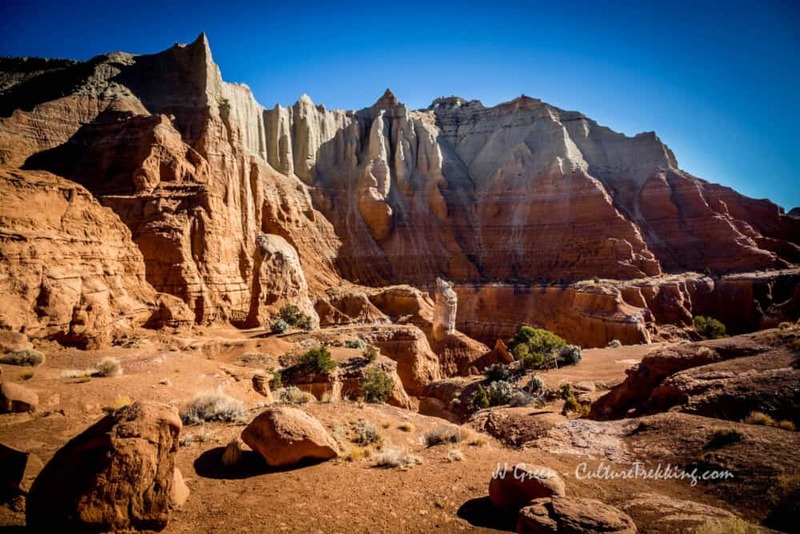 For more information on Hiking in Kodachrome Basin State Park be sure to visit Culture Trekking. This Colorado State Park is located just south of Boulder and snug up against the small community of Eldorado Springs. Though I am not yet a rock climber, I love coming to the canyon to see the ant-sized people high up on one of the many climbing routes in the canyon. Don’t worry, if you want to stick to the solid ground and do some hiking, there is plenty of that as well. There are hiking trails that will lead you to spectacular views of the Continental Divide, or to an old hotel ruin. The immediate canyon is divided in the middle by South Boulder Creek, giving you a great mix of high walls, and, in the spring, a fast-flowing waterway. Summer and fall are the best times to visit for climbing. Climbers from all over the country come to this specific spot, the climbing is that good. Though when a winter or early spring snow hits, it can change the canyon into a whole new sort of beautiful place. Lake Tahoe is famous for its winter skiing and snowboarding, but it’s also a summer favorite for northern Californians. One of its gems is the aptly named Emerald Bay State Park. Emerald Bay itself is part of Lake Tahoe, making it a fantastic place for a lazy day on a boat. For the more land-inclined, the park has several hiking trails as well as a Scandinavian-style castle that’s nestled among impressively tall trees and filled with history. My favorite activity for Emerald Bay, though, is back on the water. There’s nothing more idyllic and calming than paddleboarding around the bay and to the ruined tea house on Fannette Island, Lake Tahoe’s sole island. To read more, check out this weekend adventure in Lake Tahoe. 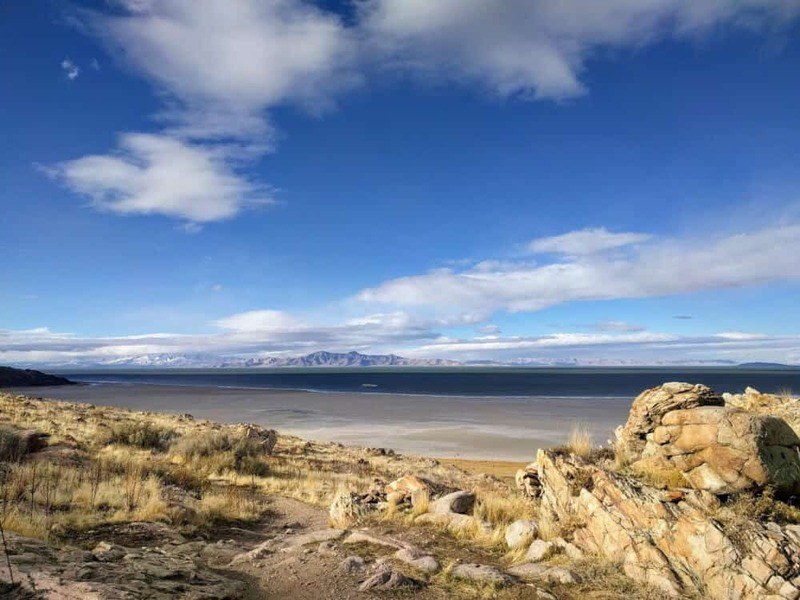 If you’re looking for place near Salt Lake City to get outside without heading into the mountain you should definitely check out Antelope Island State Park. The park is located less than an hour from downtown Salt Lake City and the SLC airport. It offers up at least 40 miles of trails to run, hike and mountain bike on. You can set up your campsite at Bridger Bay Campground then head out to explore the trails. Along the way you’ll definitely encounter a few herds of the free range bison. You’ll also find endless views of the Great Salt Lake, the Wasatch Range and the cityscape of downtown. Once you’re out on the trails you’ll be able to see weather rolling in from miles away, plenty of time to scamper back to your car! Overall, Antelope Island State Park is a great excuse to get away from the city for some solitude on the trails! Read more about Antelope Island State Park on Oversharing Life. Custer St Park is located in South Dakota outside the Black Hills. It is a popular stop on the way to Yellowstone National Park or after visiting the Badlands. The park itself is stunning and well worth a visit for the scenery. We took the Kneedles Highway and then entered Custer State Park. Its about an hour on the 14 mile stretch of road that twists and turns sharply and requires you to go through low tunnels carved out of the granite. On our first tunnel we saw a herd of goats who really didn’t want to get out of our way! Custer State Park is a great place to go hiking. The park offers miles of trails all with different difficulties so there is something for everyone. The park is one of the top ten places to see wildlife in the US and there are herds of bison that can be seen around the park. 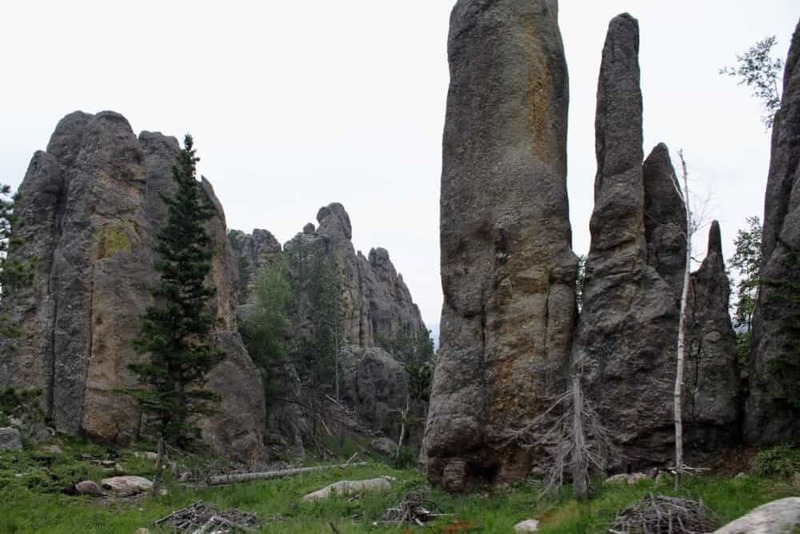 You can learn more about Custer State Park at Travelgal Nicole. Smith Rock is a playground for adventurers. In fact, most of Oregon is! Should you only have a day to explore Smith Rock, I’d recommend taking the Misery Ridge trail. No worries, no misery shall occur, only pure adrenaline, stunning views, and tired feet at the end of the day. You’ll tackle rocky and sandy terrain and gaze at the surrounding stunning mountains or the crazy rock formation around you like Monkey Face Rock. If you’re visiting for longer, there are other trails to visit as well. If you want something more chill, just walk along the river that snakes through Smith Rock State Park—no intense hiking needed! If you’re an avid rock climber, bring your gear and energy. There are plenty of routes for you to clamber up. The photo is something seen along the hike, it’s called Monkey Face Rock and it’s one of the ridiculousy crazy places climbers go to climb! If you look carefully there are two climbers in the small hole to the left! 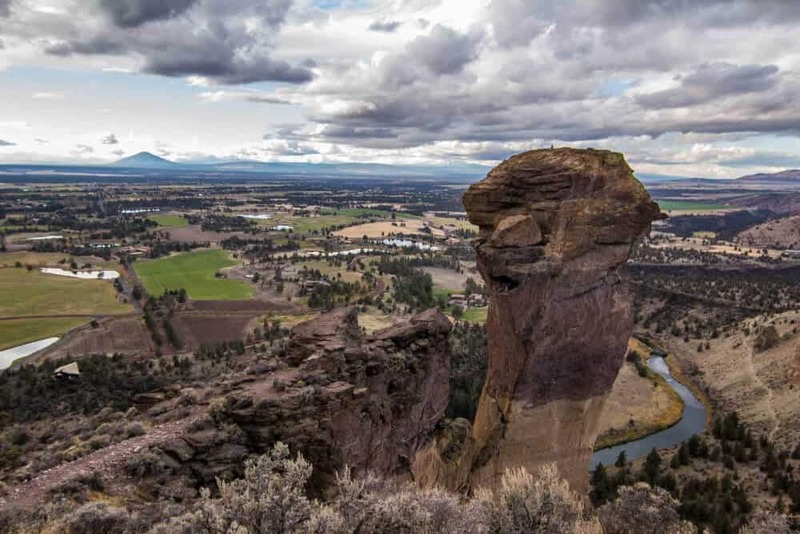 For more on Smith Rock, as well as tips for exploring some cool sites in Oregon, read 11 Badass Things to do in Portland and Bend. Burton Island is a 253-acre park just off the shores of St. Albans in northern Lake Champlain. You can only get there by boat, and there are no cars on the island. The Island Runner, a Vermont State Park ferry, runs several times a day through the summer. If you have your own boat, Burton Island provides slips for overnight use, complete with hook-ups and your own fire pit. Burton Island has a variety of camping opportunities — from secluded, primitive sites and waterfront lean-tos, to brand new cabins with beds and electricity. The small marina is the hub of the island, with free WiFi and a lovely cafe and store called the Burton Island Bistro. The bistro provides campers with breakfast, lunch and snacks, plus a nice selection of beer and wine. Life is a bit slower on Burton Island. It’s the perfect place to hang the hammock, catch fireflies, and tell stories ‘round the campfire. Can’t wait to read more? 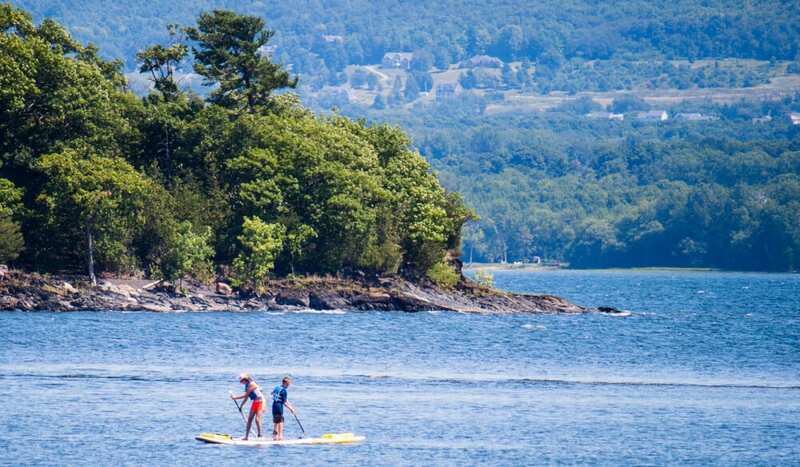 Check out Island Hopping on Lake Champlain with Vermont State Parks. Grandfather Mountain is one of North Carolina’s best state parks for hiking and seeing wildlife in their natural settings. 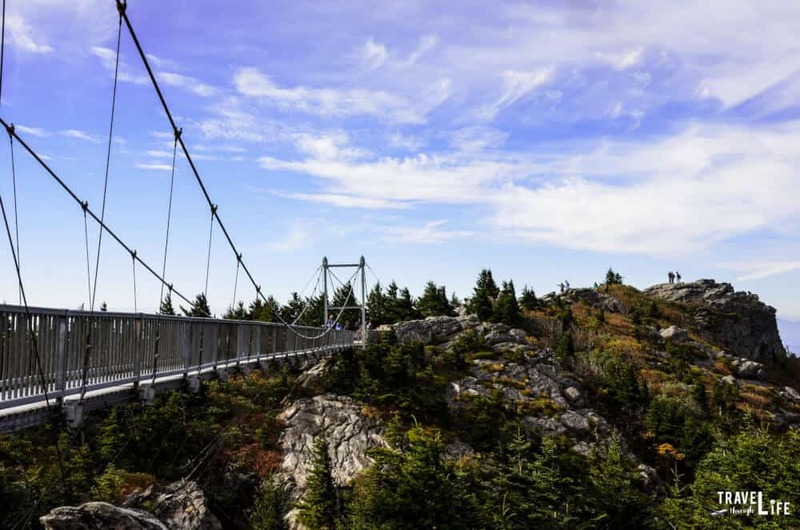 Most people will drive or hike to the Mile-High Swinging Bridge that’s a mix of scary and beautiful. I think it’s more fun to start from somewhere below and hike up, but if you arrive early enough, you can park close by. The wind when trying to cross it is just a bit too scary to describe. The beautiful view from the bridge is also impossible to capture. Below the bridge, there’s the nicely built nature museum that you’ll pass when driving to and from the top of the mountain. Stop there and walk around outside of there for more nice views, a look at natural wildlife habitats, and also, some delicious fudge from one of the shops outside. You can easily spend a whole day at Grandfather Mountain State Park and if you’re staying in nearby Banner Elk, Blowing Rock, or Boone, you can rise early and get a head start before the crowds come. Want to learn more? 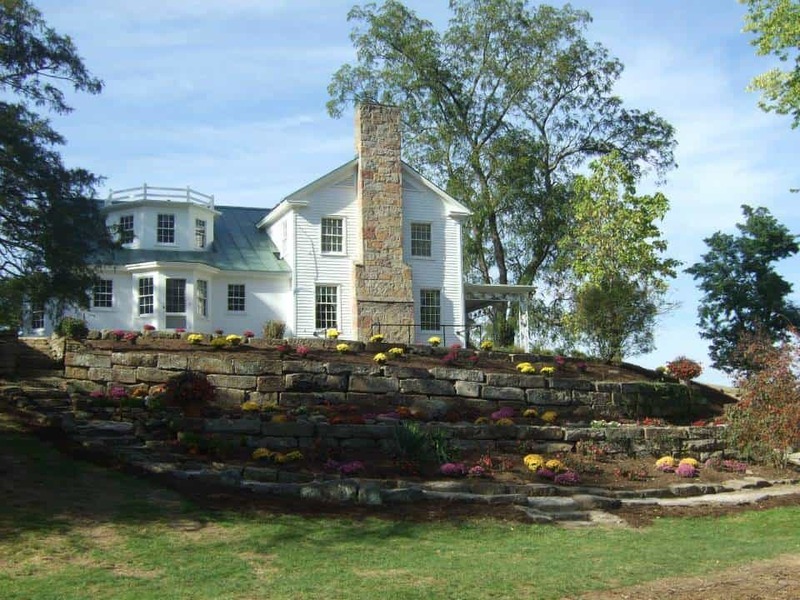 NC Tripping has a great guide about exploring Blowing Rock, which includes a visit to Grandfather Mountain State Park. Blackwater Falls State Park forms the northern point of Monongahela National Forest in West Virginia. We love driving through the mountain roads in West Virginia and this state park is a hidden beauty in the forest. There are many different hiking paths to choose from depending on your level of difficulty. There is also a scenic bike trail in this state park. 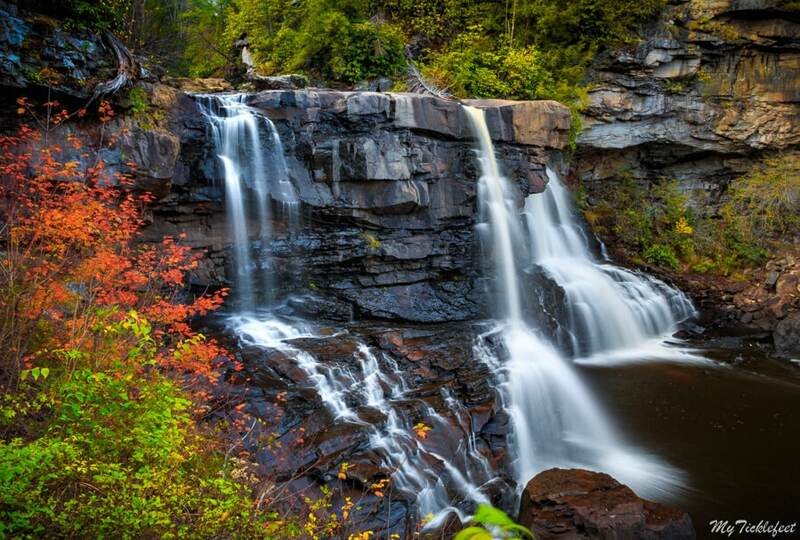 For accommodation there is Blackwater Falls Lodge as well as a campsite in this state park. Kayaking, Canoeing, Paddle boating, and swimming are permitted in Pendelton Lake in the park from Memorial Day to Labor Day. Scenic views can be seen from a few different viewing platforms. Best season to visit would be early autumn when the waterfalls and lakes are covered in shades of green, yellow, and orange. For more on traveling through the natural areas of West Virginia, check out My Tickelefeet’s travel guide. Adirondack Park is the largest public protected land in the contiguous US. It is 6 million acres of forests, mountains, and waterways in New York State. Part of it is in fact a state park, but parts of it are managed by New York’s Forest Preserve. With over 3,000 lakes and ponds, and 46 ‘high peak’ mountains, there is something for everyone. When I first visited the Adirondacks 3 years ago, I really had no idea at the vastness or beauty that I was about to partake. It really is an outdoor junkie’s version of Disneyland! Anywhere there is water, there are boats available for rent. Canoes, kayaks, SUPs, or even power-boats and sailboats. The lakes, ponds, and rivers in the Adirondacks are gorgeous and pristine. Rafting down the Ausable River was a very memorable experience on the east side of the park. 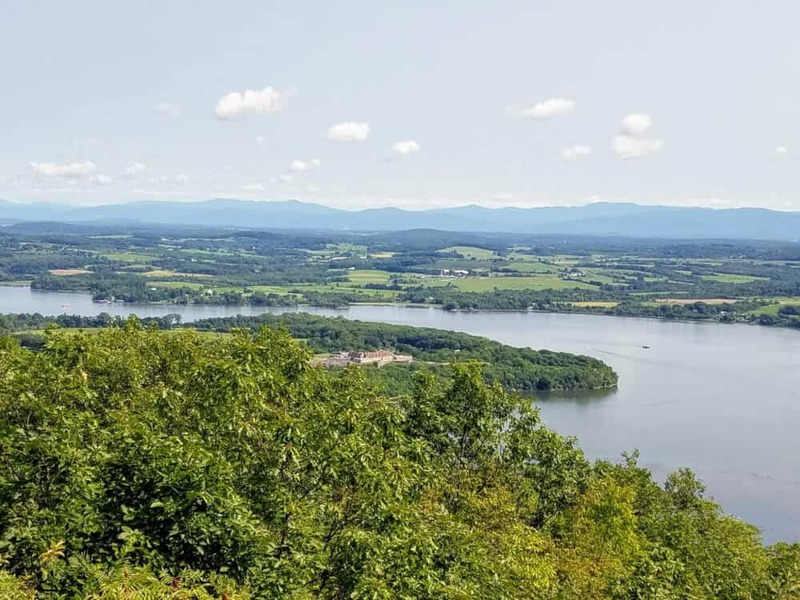 If powering yourself through the water is unappealing, there are cruises on various lakes – Lake George, Saratoga Lake, and Old Forge Lake come to mind. The Adirondacks are famous for their fall foliage, and hiking, biking, or just driving through to view the foliage is a very popular activity; the forest looks as if it is on fire with brilliant reds, oranges, and yellows engulfing entire mountainsides. The Adirondacks are my favorite park because there is so much variety. There truly is something for everyone, and though it is just a few hours away from civilization, it is being cared for and managed to be a truly spectacular wild place. The oldest state park in the United States is also one of the best – Niagara Falls State Park in New York. 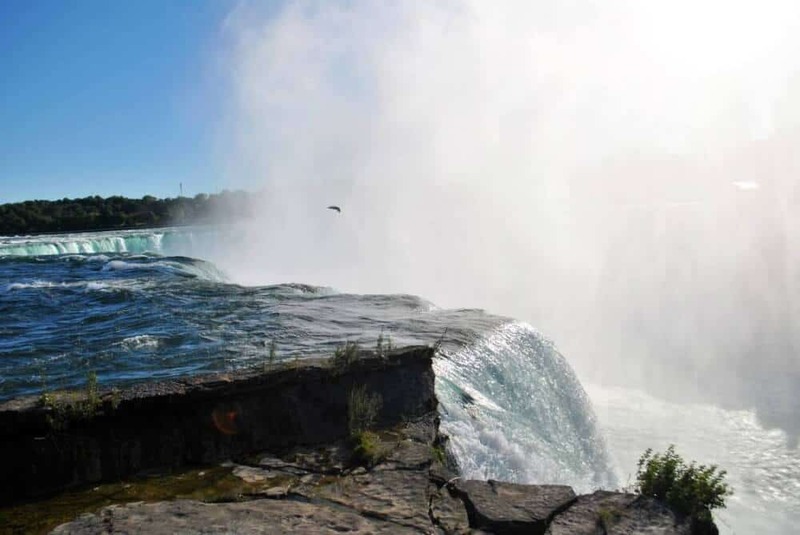 You can picnic with an amazing views of the New York side of Niagara Falls before crossing the border into Canada and admiring the falls from the other side. One of my favorite things is to sit listening to the roar of the falls, a reminder to how mighty nature is. I recommend visiting in summer as winter can be quite cold and slippery due to the ice around the falls. Want to learn more about exploring Niagara Falls State Park? Check out the complete guide by Wanderlustingk. The local state park that my family visits the most often is Purgatory Chasm State Reservation in Sutton, Massachusetts. Full of lore and rock walls, one can imagine the chasm being formed when an ice dam tore right through the stone slab in the ice age. The action left us with the perfect natural playground to boulder through right in the middle of a tree-filled state forest. This hike is not a great spot for toddlers or strollers, but once my boys hit the age of six, this has been their favorite spot to explore. We usually start on the 1-mile-long main trail that goes right through the center of the chasm. 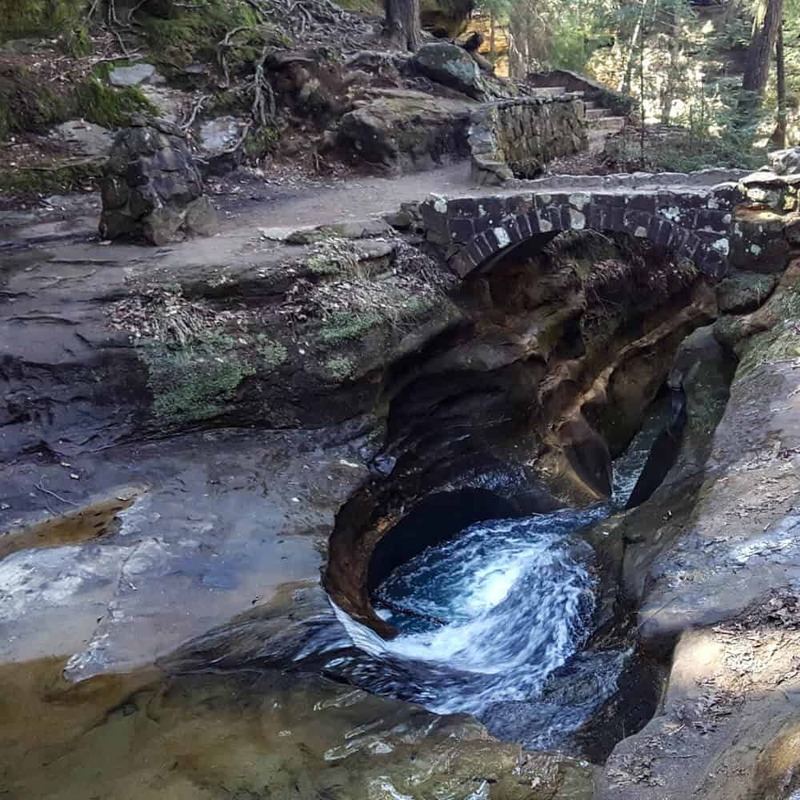 We end by climbing up the onto the top of the chasm and exploring the nooks and crannies such as Fat Man’s Misery, a cracked rock with a skinny trail through it. A highlight of the hike is the 75-foot Lover’s Leap rock face or the jutting Devil’s Pulpit. The park also has a informative museum and picnic tables. 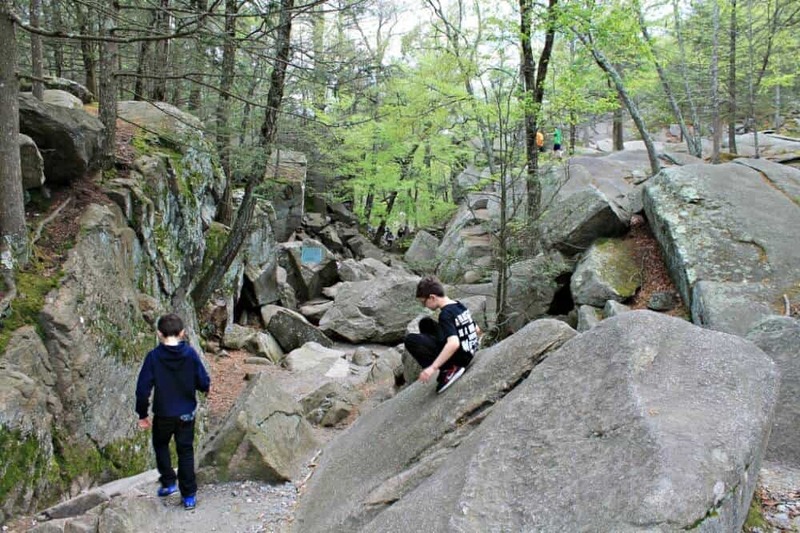 To learn more about Purgatory Chasm State Reservation in MA, check out Purgatory Chasm- Family Bouldering in Massachusetts on The Daily Adventures of Me. 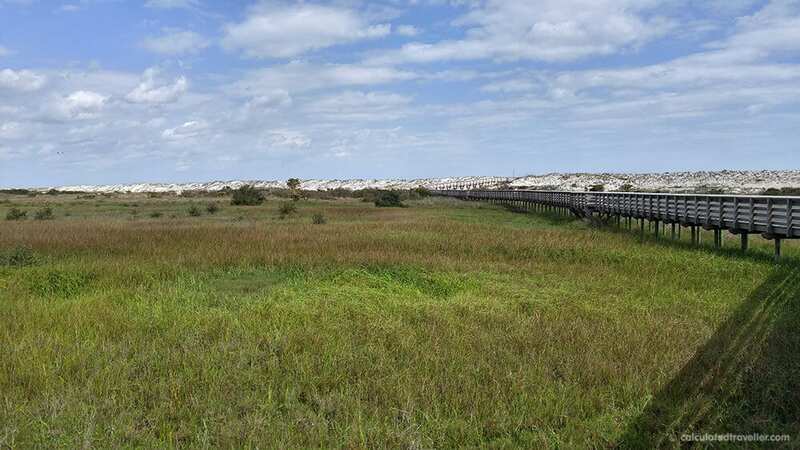 With 4-miles of pristine beach and protected dunes, 139 campsites with electricity, bike paths, hiking trails, and a saltwater inlet perfect for kayaking, bird watching and dolphin sightings, Anastasia State Park is a fabulous place to have an adventure. It’s a quick bike ride to the historic city of St. Augustine, and you can comfortably ride into town to tour the sights or enjoy a bowl of some local Minorcan Clam Chowder. For more on exploring St. Augustine, check out Calculated Traveller’s great guide to the city. When people think of Minnesota they envision farmland and wooded forests filled with cozy cabins. 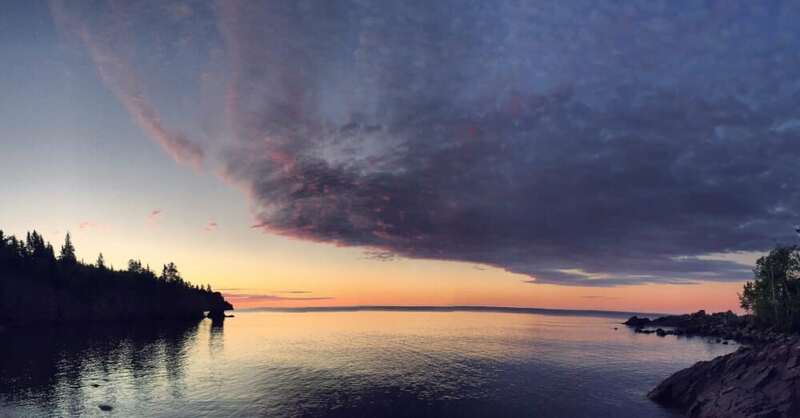 What’s often overlooked is the amazing views of Lake Superior that you can experience at numerous state parks. One of my favorite state parks that hugs the coastline of Lake Superior is Tettgouche State Park. The park has numerous hikes that lead you to dazzling views of the Midwestern water giant or to impressive waterfalls. It’s a great place to relax in nature and truly unplug. Make sure you hike the Shovel Point trail to bask in the 180-degree views you get of Lake Superior and the cliffed coast as well as hiking to High Falls. Tettegouche also has a great pebbled beach that’s perfect for watching the sunrise over Lake Superior. I wouldn’t recommend swimming at this state park because Lake Superior waters tend to be cold all year round. Tettegouche is definitely a park for avid hikers and those looking to bask in beautiful, panoramic views. For more on natural areas in Minnesota, check out Quirky Globetrotter’s Hidden Gems in Northern Minnesota. Hocking Hills State Park is located in southeastern Ohio. The area is known for its rugged beauty that includes rock formations, gorges, towering cliffs and waterfalls which are best viewed by the scenic hiking trails. It is a popular destination year round as views change with each season. Hocking Hills is popular among photographers, bird watchers and hikers but also offers opportunities for canoeing, rappeling, and star gazing. Popular trails include Old Man’s Cave, Ash Cave, Cedar Falls, Cantwell Cliffs and Rock House. Hocking Hills is a popular getaway spot for families and outdoor enthusiasts. Lodging options range from tent and RV camping and comfortable cabins in the park to nearby hotels, cottages and luxury cabins. For more on what to do, where to stay, and what to eat in the area, check out all the awesome Hocking Hills articles on Travel Inspired Living. Normally, I don’t think of state parks and working farms as being one and the same. But Malabar Farm State Park has a unique way to bring farming education and culture to its state park visitors. The historic farm still has buildings like a farmhouse, silo, and barn (where you can often attend barn dances). Since farming is a job that changes with the seasons, there are different things you can expect depending on the time of year you visit. In the winter, check out the maple tapping and syrup making demonstrations. In the fall they celebrate harvest and heritage with events like a craft show and hay rides. There are plenty of hiking trails, some of which may lead you to locations where Shawshank Redemption was filmed. The centerpiece of the Cumberland Falls State Resort Park is Cumberland Falls, a massive waterfall on the Cumberland River as it snakes through the hills and hollows. Access is easy. Parking and admission are free. Cumberland Falls makes for a wonderful afternoon, evening, or extended stay. The Cumberland River tumbles 68 feet/21 meters sending up a large spray. Paved hiking trails and overlooks provide wonderful views and photo opportunities. Some of the better views require going up and down hills and stairs. The surrounding forest is a mix of native deciduous trees and eastern red cedars. 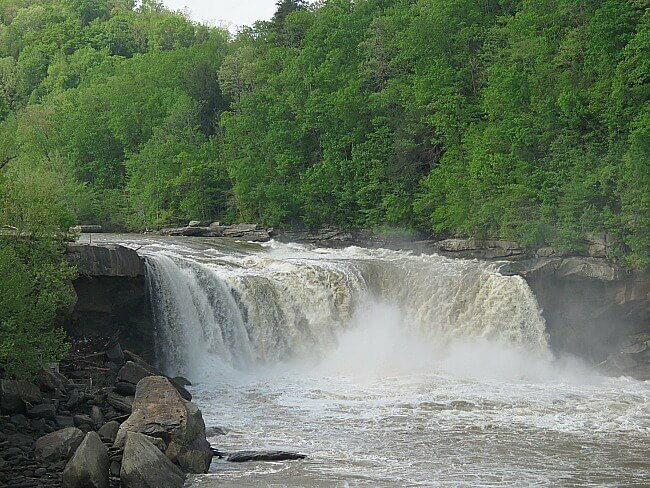 You can read more about Cumberland Falls on Family Travel Escapades. America’s state parks are outdoor playgrounds for adventurous families. Whether you planning a hike, a camping trip, or just want to find a place to relax for the afternoon, there’s a beautiful state park with your name on it. Do you have a favorite state park? We’d love for you to share it with our readers in the comments below. Cumberland Falls is one of a few places to see a “Moon-bow”, on a clear night that is. You forgot Watkins Glen State park in NY! I know, Anna – I love Watkins Glen! There were just too many parks to choose from. 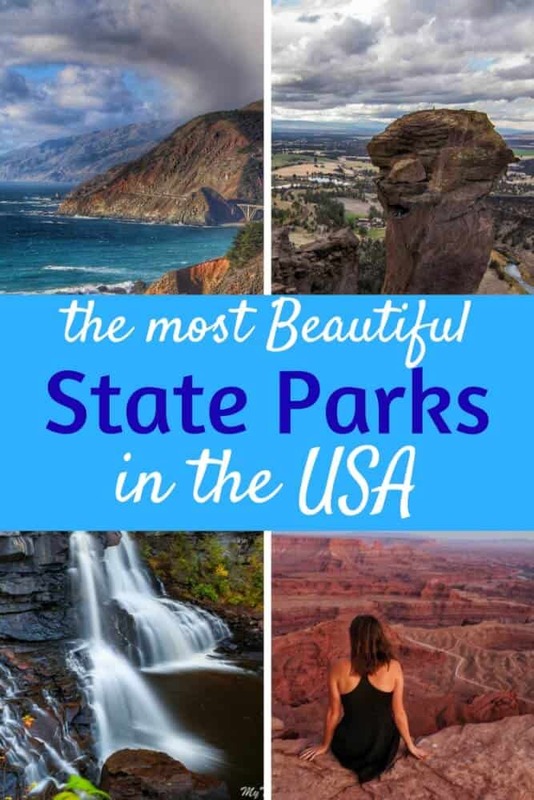 These are all lovely state parks. Each one of them seems to have their own unique character. Blackwater Falls State Park, Davis, WV and the Cumberland Falls State Resort Park appeal to me the most, probably due to my passion for waterfalls. The USA really is a paradise for people looking for hiking options. The parks offer such a great choice and experiences of the outdoors. I am overwhelmed hearing that there are 10,234 state parks in US…and counting! This is the top priority on my list for the continent when we go, but I will have a tough time deciding 🙂 Utah and Arizona fascinate me most, though. Wow, what an effort you put into this. But it’s sad we only got to 4-5 of them despite our 5 years of full-time RVing across the country. I guess we went to different ones! Great round-up and stunning photos! This is giving me bucket list inspiration for summer travel! You’re so right, Michael. I haven’t been to any of the parks you’re speaking of, but I am adding them to my California road trip list. With so many to choose from, it can be hard to create a list of the best. Thanks for your input! Great list! 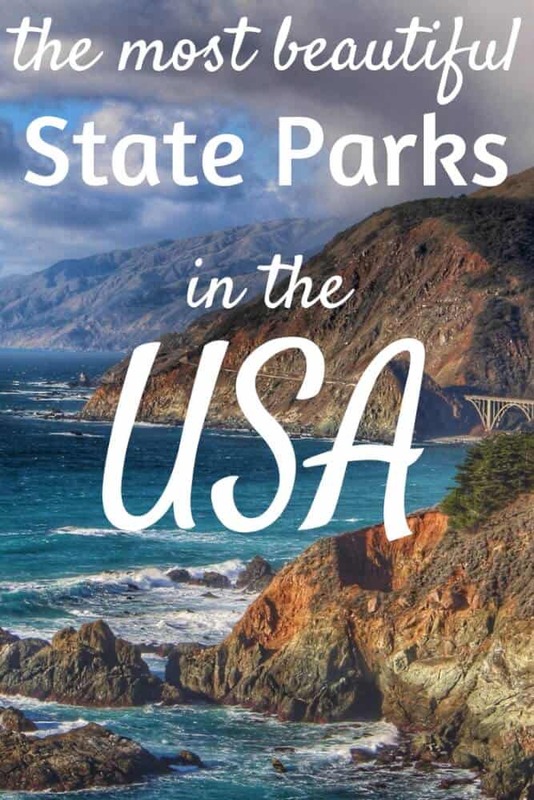 I want to visit all of these state parks! However – nothing in Washington or Maine? What a shame. A great compilation. When I see it that way, I have to travel to the USA and enjoy nature. Virginia is noticeable missing ? What about Great Falls? This is a great guide! I live on the east coast, yet I haven’t been to several those. I’ll have to check them! As outdoor junkies, these parks are so perfect & have been added to our must see list when we are living back in the States. Hocking Hills State Park is only a day’s drive from our home town so it would be neat to see! Oh wow! What an amazing list and fantastic photos. I would love to check out Dead Horse Point state park, that landscape looks awesome and something I dont get to see every day as I am from Europe. Those national parks are the one things that make me want to go to the USA the most ! If you get to TBEX this year, check out Watkins Glen state park, it is also gorgeous. So many great parks to check out! I’ve now put 5 more parks on my list to visit. How about Letchworth State Park, NY? Sun Lakes-Dry Falls State Park, Washington? Goblin Valley State Park, Utah? Palouse Falls, Washington? Also, Wrangell-Elias National Park is twice the size of Adirondack Park. Hey Harvey. I love Letchworth, and haven’t been to the others. So many choices! Thanks for sharing. And thanks for catching that bit about the Adirondacks. It’s supposed be the largest publicly protected area in the contiguous US. Back Road Ramblers shares travel tips road-trip destinations, and outdoor adventures for the wanderer in everyone. We help people connect with the world and each other by stepping out their front door and embarking on journeys big and small.